8131 Walnut Grove Rd., @ Mechanicsville Trnpk. 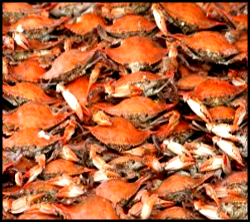 The Hanover Firefighters 2018 Crab Feast will be held on Aug., 18th. 2018 at the Hanover / Cold Harbor Ruritan Park, located at 8131 Walnut Grove Rd., Mechanicsville, VA 23111 . Only 4500 hot dogs, and 250 bushels of crabs available. ALL BAGS SUBJECT TO BE SEARCHED.